George Groves will defend his British super-middleweight title in a rematch against Kenny Anderson at Wembley Arena on Saturday 16 March. The unbeaten Hammersmith fighter, who also holds the Commonwealth belt, was given a tough time by Anderson when they clashed in November 2010. Groves endured some worrying moments and was floored before battling back to stop the Scot in the sixth round of an explosive fight in Manchester. It is the 29-year-old Anderson’s only defeat in his 15 professional contests and he has secured a rematch after the British Boxing Board of Control installed him as the mandatory challenger. Their second encounter takes places 10 days before Groves’ 24th birthday and will give an indication of how far the Londoner has progressed since beating Anderson. 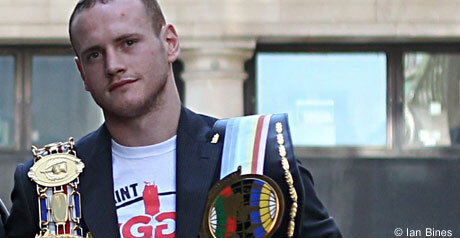 Double champion Groves is unbeaten in his 14 fights. 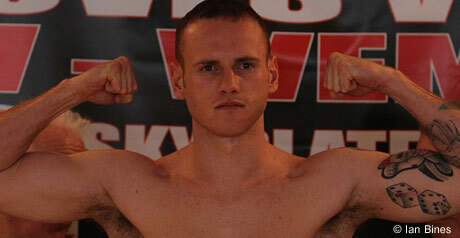 He beat bitter local rival James DeGale on a majority points decision last May to take the British title, and ended 2011 with a two-round demolition of former champion Paul Smith. But he continues to be criticised for being too easy to hit and was caught with a crunching right during his brief fight with Smith, which was also at Wembley Arena. A second victory over Anderson could pave the way for another grudge match with DeGale or a possible world title shot later this year. Promoter Frank Warren won the purse bids to stage the fight, which Anderson wanted to take place in his home city of Edinburgh.